Prefer paying through phone or via pay by link card terminal? 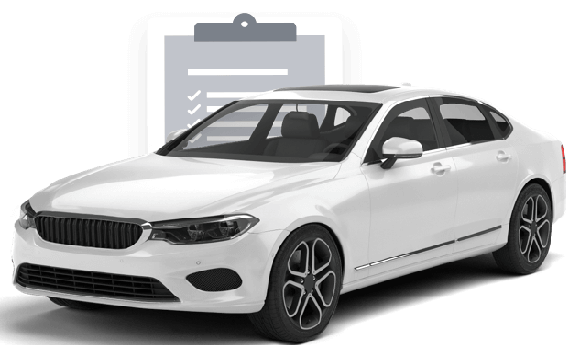 Fill in the contact form above with reference Stock code - DACIA LOGAN 2.4 D GPS AUTO FRENCH REG and we will get back to you. Prefer paying through phone or via pay by link card terminal? Fill in the contact form above with reference Stock code - DACIA LOGAN 1,4 Ambition DSG+Navi+Tempomat+ and we will get back to you. Prefer paying through phone or via pay by link card terminal? Fill in the contact form above with reference Stock code - DACIA LOGAN S&S 2.0 TDCI ST LINE and we will get back to you. Prefer paying through phone or via pay by link card terminal? Fill in the contact form above with reference Stock code - DACIA LOGAN dCi 110 Prestige 2WD and we will get back to you. Prefer paying through phone or via pay by link card terminal? Fill in the contact form above with reference Stock code - DACIA LOGAN 1.2 ZEN II and we will get back to you. Prefer paying through phone or via pay by link card terminal? Fill in the contact form above with reference Stock code - DACIA LOGAN 1.6 BlueHdi Business S&S 120cv EAT6 and we will get back to you. Prefer paying through phone or via pay by link card terminal? Fill in the contact form above with reference Stock code - DACIA LOGAN St 1.6 Tdi 90 Style 5p. Spanish reg and we will get back to you. Prefer paying through phone or via pay by link card terminal? Fill in the contact form above with reference Stock code - DACIA LOGAN 1.6 HDI 110 FEEL EDITION and we will get back to you. Prefer paying through phone or via pay by link card terminal? Fill in the contact form above with reference Stock code - DACIA LOGAN 1.6 Base 4x4 77 kW (105 CV) Spanish Reg and we will get back to you. Prefer paying through phone or via pay by link card terminal? Fill in the contact form above with reference Stock code - DACIA LOGAN Laureate 1.4 SPANISH REG and we will get back to you. Prefer paying through phone or via pay by link card terminal? Fill in the contact form above with reference Stock code - DACIA LOGAN Prime-Line and we will get back to you. Prefer paying through phone or via pay by link card terminal? Fill in the contact form above with reference Stock code - DACIA LOGAN 2.0 TDI 140 CV and we will get back to you. Prefer paying through phone or via pay by link card terminal? Fill in the contact form above with reference Stock code - DACIA LOGAN 1.8 and we will get back to you. Prefer paying through phone or via pay by link card terminal? Fill in the contact form above with reference Stock code - DACIA LOGAN 1.6 D-4D and we will get back to you. Prefer paying through phone or via pay by link card terminal? Fill in the contact form above with reference Stock code - DACIA LOGAN 5.7 and we will get back to you. Prefer paying through phone or via pay by link card terminal? Fill in the contact form above with reference Stock code - DACIA LOGAN 2.4 and we will get back to you.